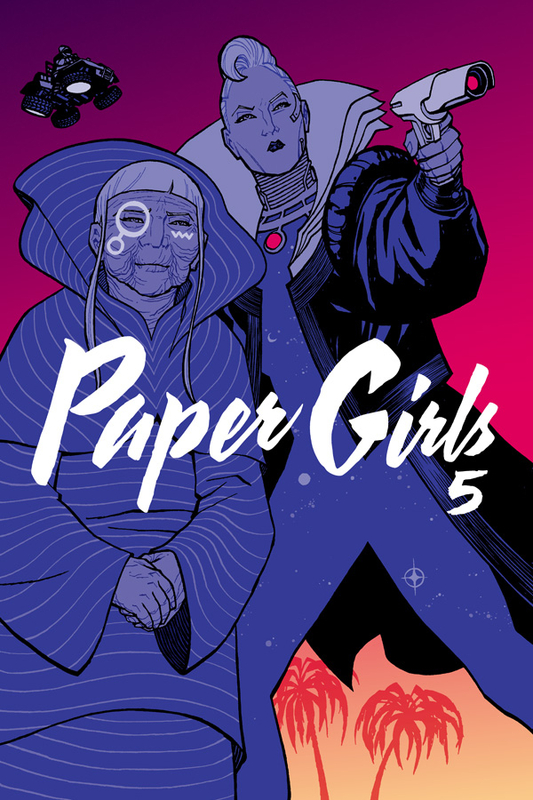 BRIAN K. VAUGHAN, bestselling writer of SAGA, and CLIFF CHIANG, legendary artist of Wonder Woman, return with award-winning colorist MATTHEW WILSON and innovative letterer JARED K. FLETCHER for the darkly dramatic fifth volume of PAPER GIRLS. Can anyone escape fate? That's what Mac and her fellow newspaper delivery girls must discover as they travel from the year 2000 to a distant and dangerous future era of Cleveland, Ohio. Plus, the secret truth behind the mysterious 'Grand Father' who's been pursuing the girls across time is finally revealed! Collects PAPER GIRLS #21-25.